Jill Weatherholt set us a lovely challenge on her latest post and one I was immediately tempted to carry forward. She linked to a POST which was one of her favourites to write and did not relate to the number of likes, comments or views. Jill’s favourite post celebrated friendships and particularly nicknames. It was impossible to forget her ‘Jilly Bean’ nickname acquired at college. In my response nearly two years ago, I mentioned that I felt neglected at school as I was only ever only known by my name. At university this changed. Finally, I gained not only one nickname but a ‘fair collection’ as I’d written to Jill. I was quietly chuffed! Even if they weren’t the most flattering. Of course, my Swedish heritage was picked up early on and many letters from my best friends started out ‘Turnip-Top’! During my first year, stress and poor diet resulted in some hair loss. Not one to keep shtum I mentioned the strands of hair collecting on my hairbrush. After a few weeks my nicknames had extended to ‘Yul’ (actor), ‘Duncan’ (swimmer) and ‘Sinead’ (singer) – all whose common factor was their baldness. I was not reassured but learning to laugh at myself taught me an invaluable lesson. Now, to Jill’s challenge. Would we do the same? Think of our favourite post and write about it. How could I refuse?! With nearly two hundred posts over three years, whilst not burgeoning, this is not an insignificant number and would be unwieldy to glance through on WordPress. Luckily I have a shortcut in place! Every few months I have been saving my posts on Scrivener. This started out as I never could work out how to save the blog and I am slightly paranoid that all the work will just disappear in a jiffy! I spent a contented hour scrolling through my posts, creating a shortlist of ten before narrowing down a winner! Apart from writing, I enjoy throwing myself into research. Posts which require a lot of information harvesting and sorting, before collating into an article accompanied by photographs are pure bliss! The 17th-century Kindle post ticks all the boxes. First and foremost, it’s all about books and tiny ones at that. Secondly, they are very old and delicate ones; my imagination was captured by the idea that someone created a portable library all those centuries ago – hence the Kindle in the title. Thirdly, the research was intricate and fiddly whilst the images served up a colourful visual feast. What wasn’t there to savour? I hope you enjoy reading the post as much as I did writing it! As this was posted in my early days of blogging it should be fresh and new to most of you. HERE is the full post. Finally, I might be a bit absent from blogs in the next couple of weeks as I am not only continuing with my writing work but have also received an invitation to talk to a creative writing group at a private school. I was contacted by them following my recent newspaper interview which is available to read HERE. As I’m preparing my talk, I’m gradually conquering my initial terror at the thought of the school visit and now look forward to chatting with the very keen and enthusiastic group of 11-16 years-olds as ‘an inspiring author’. Having heard briefly about their terrific work, I have a feeling it will be an afternoon of mutual inspiration. 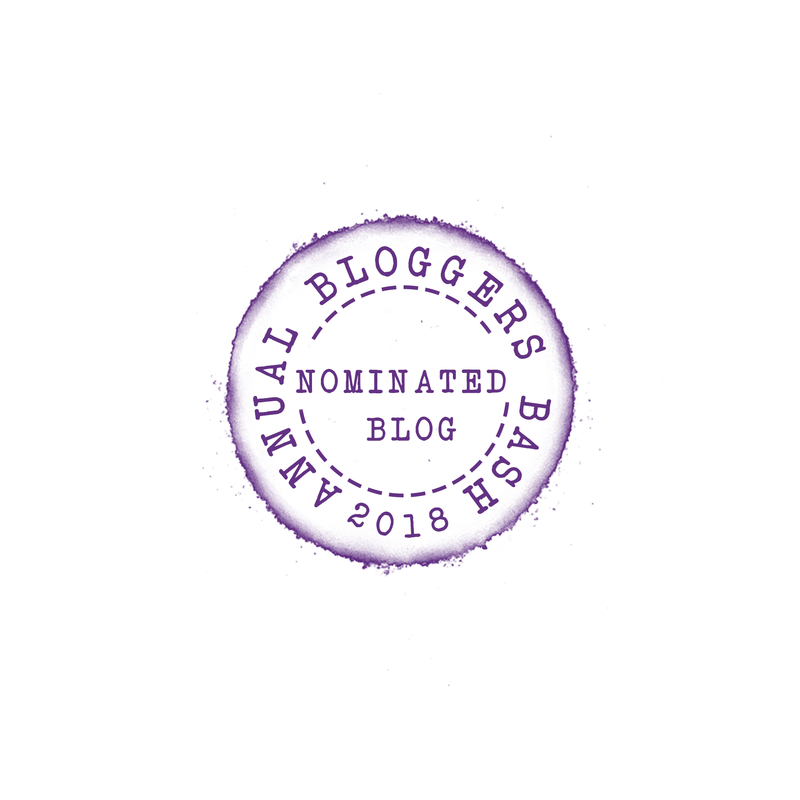 I hope you have enjoyed my personal reflections and the link to my favourite post and that you will consider joining in and share your favourite blog post and explain why you chose it. Interesting blog Annika. The nicknames bought back memories of my school days- most of my friends at school were only known by their nicknames, so much so that while I sill remember these I struggle to remember their actual names! I remember reading the 17th Century Kindle post and it was like revisiting an old friend when I read it again. Same ideas, just different technology. Also it was great to hear about your school visit. I am sure you will do well and although these things can be daunting they can also be very rewarding. I bet the children will be thrilled to meet a published author – and who knows, there may be another article in the local paper! Mike, thank you so much for your lovely comment and I’m so happy you remember the 17th Century kindle post from the first time around. This was definitely not a matter of throwing a couple of books into the luggage – the loving crafting of this traveling library is amazing. I had to laugh at how nicknames were so prevalent in your school you almost forgot each other’s names – now I have to ask if you want to share some you were known by?! Sarah, I was immediately taken with Jill’s challenge and set to looking through my older posts straight away. What a delight and it was more a matter of not becoming side-tracked! 😀 The loving care in crafting these books is phenomenal and it’s wonderful that reading was such a valued pastime all those centuries ago. As always, your posts make me think and smile and nod my head in recognition. First and foremost, when you meet the students and talk about creative writing and publishing, please remember that you are not an aspiring writer. You ARE A WRITER. Period!!! I have no doubt that they will enjoy listening to your every word, and be inspired by you. I know I am. Pam, first I’m so excited to see your re-blog of one of your favourite posts!! 😀 Can’t wait to read it! I hope you write a post about this experience – we all want to hear about it afterwards! Great reflections, Annika – I’m headed over to read all about that portable library! Hope you are doing well and good luck with your school visit – I’m sure it will go great! Barbara, I am doing great, thank you! 😀 I am nearly all sorted for the school visit and am now eager to meet all the students and most of all, looking forward to hearing their work! Well, bring your journal to take notes. A lifelong learner should have much enjoyment with the students. I hope you tell them what inspires you to write what you do. When they discover there is beauty in every moment and every “little” thing in live, they too will be inspired to write short stories and poetry. I hope they give you permission for us to see samples of their work in the future. You will do a great job! Let them play with words. Those that are “stuck” should write something about a word or image you give them. I think you will enjoy what they conjure up too. Annika, the best is to speak directly from the heart. Only outline your talk or simply have bullet points on a page. Once you have everything down, trim, trim, trim. More important is to meet them and tell them who you are. I used to give themes for my German classes to write haiku poems and then illustrate them to decorate the classroom walls. It is such an easy form and less intimidating than trying to rhyme. Three lines, unrhymed and a total of 17 syllables. Some of my former themes were friends, family, spring, yourself(about themselves), love, etc. Everyone writes on the same theme but with dramatically different results and a starting point for conversation. How long is their class? 45 min.? Or do you have longer? I would only talk about myself for a maximum of 5 min. and then allow their questions or whatever they are sharing with you. As a parting gift, you might provide one page with your image and a poem or a starting point for a story they are to finish and share in class or with family and friends. I like to have my classes the focal point and less about me. I understand, however, that you were invited for a specific reason. If you can afford it, I would purchase small journals in which I would sign my name and tell them to fill this with their thoughts for the next week. At the end of that time, they can go back through and create an image, poem or story. Oh, gosh, I am too verbose. I totally understand it when you say your talk is too long. Why not put it all into a form to hand out to them at the END of your presentation? That way, if you run out of time or want to do something spur of the moment with them, they will have what you wrote. Are you going to gift the class an autographed set of your book or do they already have it? I left a set of 30 in Germany when I visited the school and read aloud some of my poems. All were autographed. Good luck, lovely lady. p.s. We have companies who will print names, etc. onto pencils. Relatively inexpensive for a set and they will think of you as they fill journals. I imagine though they write with a pen. Diana, that would be quite something – to inspire a young person to write!! 😀 Preparing the talk I’ve been thinking a lot about my teacher at school and how he inspired me … an incredible influence. These students sound so keen and full of energy in their creative endeavours and I can well imagine I’ll be bubbling with ideas afterwards! It sounds wonderful. 🙂 I’ve done a couple small projects with teenagers and they are so enthusiastic. It’s a blast. Enjoy! Best of luck, Annika with all your projects and especially the talk at the school! Clare, thank you so much … the school is an exciting and unexpected new venture for me! I think all the exercise (and early mornings 🙂 ) must be catching up with me, Annika, because I am so tired. I did remark to Jill that I might take her up… later. 🙂 Enjoy your latest challenge, hon, and hopefully I’ll have given myself a good shake and be bright and alert when you get back. I just love reading your posts, Annika. Do NOT lose a single one–no narrowing it down to a favorite. And good luck at your school visit. I too would be fairly nervous but your book–they could not fail but love it. I’m so excited about talking to the students, but obviously nervous too! I honestly hadn’t thought about this part of writing and publishing at all … events are overtaking any of my expectations! Oh, these young writers seem to be teeming with ideas and energy from the little I’ve learnt of their work … and luckily time is built in for me to hear some of their writings! Reckon I’ll be the one fired up with enthusiasm! Lori, it was so unexpected and I feel very honoured and lucky to be given this opportunity. 😀 Can’t wait now! Debby, I know, it feels amazing to be doing the presentation and I initially nearly asked if they hadn’t made a mistake!! 😀😀 I’d always laughed at these nicknames and they helped me smile! I do have lots of loving sweet ones from my family which I should perhaps have put in!! A huge congratulations on the speaking engagement. Don’t be nervous. You’ll do great! And don’t worry about being absent. We all have to do what we must to keep moving forward!! Best of luck with your endeavors! I think you should claim ‘inspiring author’ as your newest and best nickname. So many exciting things happening! I’m sure the classroom experience will be rewarding and hope we are going to here about it. Funnily enough my post this week, and I wouldn’t mention my own blog here under normal circumstances but, I thought I was being unique with the title of my last post which connected ‘clickbait’ with old news items. I love to see the connections between past and present too. How true about so many new and exciting things happening at the moment – I can barely keep up! 😀 I’m so looking forward to the school visit and I felt inspired even just hearing about their wide and varied work. No problem about mentioning your post and I love your title!! It’s so interesting learning all about the tea articles … obviously a huge interest for everyone then. The past is so very much part of our present and I have to smile when I realise they were already way ahead of us! That’s quite an interesting look at a 17th-Century Kindle. How fascinating! Oh, you must be thrilled to be able to address that group of students. They share the same passion you have and will surely be brimming with questions. I hope you’ll share your experience in another blog post! Mae, I’m so glad you liked the17th-century kindle post … the care and love into its creation is extraordinary! I’m so excited and honoured to be asked to talk to the students and I’m counting on them having lots of questions!! 😀😀 It’s so exciting and they sound so enthusiastic and brimming with ideas and energy … I’m sure I’ll come away inspired and full of fresh and unusual ideas! Curt, I’m so excited to learn about Shambhala!! I’ve never heard of them before and am smitten with the idea that small books are being printed for travellers! That is wonderful and what a treat at the end of the day! Wow! 😀😀 Now all they need to create is a little library case for them and you have this 17th-century all up to date! I learn something new every time I stop by your “place.” We have benefited from all that has occurred in the past, and now it is our watch, our turn to add to the knowledge of those who came before. I laughed when I read your title: The 17th Century Kindle. It’s a reminder that we are not so different from those who lived centuries ago – we just have more advanced technology. For example, on this day, February 18, 1678, John Bunyan’s Pilgrim’s Progress was first listed listed in a Term Catalogue, which is the preview of what will be available at upcoming fairs. There were “books fairs” and “Goodreads” back in the 1600’s, too. By the way, I am going to check out Scrivener- thanks for giving me a new place to explore. And as for your upcoming talk – you’re a natural. I know whatever you do, you will be amazing. Happy Sunday from Vancouver!! Thank you for your insight. I bought Scrivener the same day of my comments on your post – both for my iPad and for my Windows desktop. I can see that the sync is not as seamless as Google Docs or One Drive, BUT I am delighted with my purchase. It is the first time I can organize huge amounts of information. You will recall that I’m archiving my father’s photos. My mother is 87 and, as I told her, we are on limited time to write my parents story – time is of the essence. Scrivener is the perfect for this project. Sending hugs along with warm gratitude. Darlene, whilst doing history A-level, I was one of those who thrived on the research, the more books the better!! 😀 The love of digging around for information from various resources never left me neither has my joy of sharing it. Just be yourself and treat it like chatting with friends. They love to hear about you as well as your book and make sure there is time for questions. I am always amazed at the questions I am asked. I was apprehensive the first time too. They will love you! Good luck with the presentation, Annika. I know it’ll be great! At the outset, I must congratulate you Annika for the invitation to meet a group of creative writers at a school…you would be amazed at their enthusiasm and potential! I am sure that is going to be great fun as well as a learning experience. I would look forward to your reflections after you have finished this project. Wishing you all the best! Just now I have read your old post about the way books were written and valued in 17th century and am feeling blessed to have this laptop in my hands and kindle by my bedside! Those books must be so time consuming to write, heavy to carry around and must be needing all the care in the world to keep them…a real treasure to preserve for the posterity. History is so fantastic! Balroop, thank you so much for your terrific comment and your best wishes for my upcoming school visit! 😀The enthusiasm of the students seems to know no bounds from the very little I’ve already learnt about them … their wealth of work sounds astonishing. I want to do my best to inspire them even further! I’m so happy you enjoyed the post about the 17th-century kindle books. The love and care to create them are phenomenal and they must have been looked after so well – they are nearly in immaculate condition after four hundred years! I imagine a servant or such would have done the heavy carrying and what a treasure to always have a book at hand. Kindles and such are wonderful but wow, imagine holding one of these! To repost a neglected article with an update explanation is a great idea, and I may take you up on your challenge, Annika. It’s funny to think of feeling noticed by the amount of nicknames assigned, even the slightly offending ones. Now I’m off to read your newest old post and the newspaper article. Your new book is waiting patiently (maybe not so patiently) on my shelf, but I have a few reading obligations first, and I’m a slow reader. But I am so looking forward to The Storyteller Speaks. Sharon, it would be great if you took up the challenge and reposted one of yours! I can’t wait to read it! Be warned … it is not easy to just choose one and I had to be ruthless in the end! Ahh…my book is very patient indeed and I’m honoured you have it on your shelf waiting to be read. Congratulations Annika for the interview as well as the invitation for school talk. 🙂 I’m sure you’ll enjoy and as you’ve said gain “mutual inspiration”. Young minds are full of creative ideas. As for the post on the box of books, it was an interesting read. So much of patience people had back then. Thank you very much, Norma! 😀 I couldn’t believe it when the school contacted me as soon as the interview came out online! I was both thrilled and terrified! Now as I’m preparing the talk, gathering thoughts on writing matters, I am so looking forward to meeting with them all. Their work sounds phenomenal and I’m sure they have lots to teach me! The travel library is just incredible and the care and love in its development are fantastic – and to think it survives intact four hundred years later is amazing. Many thanks for your lovely comment. People of the past and what they have left behind for us always intrigues me. Annika, I just went over to read your interview with your local paper.. Wonderful and sorry to hear your nicknames were often not that flattering. I started to have a patch of hair loss last year for no reason I could think of, but it seems to have righted itself.. So I am happy yours did too. Its wonderful you are being invited to speak and you will be perfectly fine.. And like you say I am sure you will gain as much as the students will from your talk..
Sue, thank you so much for your lovely comment – and for telling me about the save button – I will try and locate it! !😀 I’m sorry to read about your slight hair loss last year – it is very worrying. My first time was as a student at uni when I had very long blond hair and I’d never had any problems before. I went crazy with worry, to be honest, and the nicknames were my friends’ attempt to cheer me up and include me in the group! It is a friendship circle that remains to this day! Please don’t feel sorry for me. Oh, I can’t wait to talk at the school…I’m both excited and nervous but just hearing about the students and their enthusiasm for writing has me inspired and keen to see their work. Good luck with the upcoming talk! Sounds like a wonderful opportunity. My theory for this talk is to be well-prepared – and I hope this helps a lot!! 😀 As my son reassures me, the students are all there willingly and keen to listen to a writer – and I was enthused just hearing a bit about their work so can’t wait to read some of theirs as well. It will be an afternoon of sharing for us all – and being mutually inspired! Jill, thank you for your inspirational post – I was just in the process of putting one together when I read your post and I was immediately smitten with the idea of trying to search for my own personal favourite! Please don’t be sad for me!! 😀I don’t know if this is quirky English humour but my friends and I are still firm friends and I met up with one and her husband yesterday and we were laughing about it all! She even remembered some others! I think we both can thank Christy for the inspiration…I just passed it along. What a joy to share your love of reading and writing with a new generation of creators. Enjoy. Thank you, Bernadette! 😀 It feels a responsibility and I just want to impart the joy, and passion for writing. I’m really looking forward to it … although a bit nervous! That sounds very exciting, Annika. I also visit schools occasionally and it is lots of fun. I hope we will still see you from time to time on your blog. High school children are more difficult to engage with than primary school children. I use a chocolate house building exercise to engage with younger kids. With older kids, I try to find something they can relate to like a song that has the theme I am talking about or a modern cartoon to get them interested. I also try to let them take part and ask questions and think aloud. Thank you so much, Shey! 😀 I realised the post was a mishmash of thoughts and ideas but glad it was still coherent and uniform! Oh, these books are just precious and mesmerising! I am enchanted by this fun and superbly crafted post. The pictures alone are a wonder before you start enetertaining us with your nick names. I know what you mean though, those names are often a token of affection and acceptance. I remember the 17th centuary library – Kindle of the day. It was such delight and so appealing that it still sticks in my mind. I will head over and reread it. You go busy authour and stoop being worried, just enjoy this ride. You worked hard for it and successfully. I enjoyed reading your post, and impressed by your goals shared on your recent interview. And what a brilliant idea to have your paperback available to borrow! Khaya, I’m smiling at the Mrs Perry!! 😀😃 My preparation for the talk is on par with that for the blurb – lots of notes and ideas which need collating into some order. I’m also looking through to see what passages from my book will appeal to the group. I know, I can’t wait for the questions … and also seeing and listening to some of the students’ work! The book cafe which has the book out to borrow is where my writing group meets once a month and the couple who own it are lovely and so helpful. Since my book was on display a lady I know in town approached me and asked to buy two copies – one for her and one for her sister! A great day!! I also have the book available to borrow at the library and they have been so positive as well.